Venezuela after Chavez: is the Bolivarian revolution under threat? 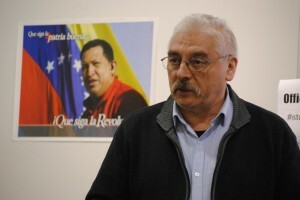 | Venezuela after Chavez: is the Bolivarian revolution under threat? This entry was posted in 2013 and tagged Francisco Dominguez. Bookmark the permalink. ← China takes over the World – Myth or reality?